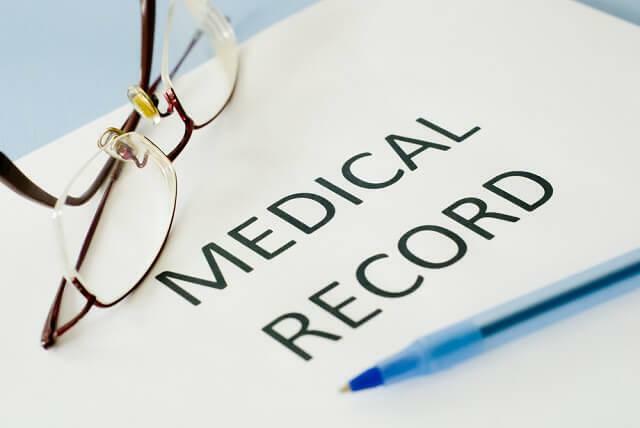 Do Your Personal Injury Medical Records Have Red Flags? Your accident case will have many forms of evidence, but one of the most critical is that of your medical records. Unfortunately, insurance claims adjusters will do whatever they can to lower a person’s settlement; to do that, they look for common red flags in your medical records. These red flags could dramatically reduce your compensation or even result in a claim denial. In all personal injury cases, your attorney will submit copies of your medical records and statements to the company’s’ insurance adjuster for evaluation. The adjuster then reviews these documents to determine what (if any) initial settlement amounts they will offer. The initial settlement is always small, but the amount they consider is determined by the red flags present in your records. By understanding what “red flags” they look for, you can ensure your files are as complete as possible and increase your settlement opportunities. Degenerative Changes – Degenerative changes occur naturally, especially as you age. However, insurance claims adjusters will look at your MRIs and other imaging studies for degenerative changes. If your studies show these changes, they may try to state that they were pre-existing and those changes were the cause of your injury – not the accident itself. Prior Accidents – The insurance adjuster will look for a history of previous accidents and try to use those injuries in the accidents against you. Pre-Existing Injuries – In addition to injuries from accidents, other injuries, such as a sports injury, will be used against you. The adjuster may try to connect the wounds, pain, and symptoms from your current accident to the injuries of a previous incident. Gaps in Medical Treatment – Any gaps in your medical treatment stand out like a beacon to an insurance claims adjuster and a defense attorney. If it appears that you are not following up with your treatment plan or you fail to seek treatment right away, they will use that to show that your injuries are not as severe as you are claiming in the lawsuit. Also, frequent no-shows to appointments will be used against you, with the defense arguing that your injuries are not as severe if you can skip so many appointments. Statements to Medical Personnel – Anything you say to a nurse, EMT, technician, or physician are noted in your medical records. If you discuss other body parts that are bothering you at that time, they may not be associated with your injury and could look as though you are trying to add injuries that do not apply. Therefore, be specific and ensure the medical care provider understands that you are discussing injuries about the accident, and that any other health issues are noted separately in the chart. Your medical records weigh heavily on the outcome of your personal injury settlement. Therefore, you must ensure they are accurate and do not contain serious red flags that could put your case in jeopardy. Your best defense is to start working with a personal injury attorney as soon as possible. An injury lawyer can ensure that your records are accurate, but also that any errors are corrected before the files are submitted to the defense or insurance claims adjuster. To ensure you receive the settlement you deserve, contact Van Sant Law, today. Our accident and injury attorneys will help you through the process of filing a claim, and we will fight for your right to compensation. Schedule your free consultation now at 404-991-5950 or request more information online.